The following report has been prepared to analyze the impact of the provisions for the training and the development opportunities have on the retention of employees in the different organizations by the management. The report identifies the background and the problems and issues faced by the management while carrying out the tasks. The importance of training methods is developed and determined properly in the following research. The research establishes a relation between the employees and the company by means of using a different kind of motivational tools to retain the employees benefits within the organization. The biggest problem faced by the managers of the company to channelize the operations of the business in a smooth manner is the retention of the employees. Often the failure to implement the different types of retention plans within the organization draws flak and leads to problems within the organization. The research has highlighted the example of Telegate telecommunication where the absence of a regular flow of finance can be difficult to train employees and motivate them at the same time. The regular flow of funds is thus necessary for the organization to both motivate and train the employees accordingly. The presence of highly skilled, trained and educated employees is necessary for the business as because it helps the organization to attract more customers as customers generally prefer organizations with highly developed skills and experience in the market. However employees may not be retained and the loyalty may not exist in the absence of a proper training method. The main problems in the management of the business is the weakened power of the management as they fails to provide proper, efficient and skillful training to the employees. This problem has led Telegate to a backward position in the market and has led to a substantial fall in the profit margin. Moreover, most importantly the absence of the training program has narrowed the cultural aspects of the company and has led them to the failure of retaining employees for a long time and also led to the absence of loyalty among the present set of employees working for the company. What is the importance and the impact of training and development opportunities in employee retention in Telegate? How can training and development change the productivity level of Telegate? What can be the ways or the methods of the training and development of the employees in Telegate? Does different kinds of research in training help to increase the skill levels of the persons employed with Telegate? The Human Resource Management Theory, Employee Retention theory and the Customer Satisfaction Theory have been used in this particular context to get a clear and transparent idea of the impact of provision on training and development in Telegate industries Private Limited. Training has been termed as one of the most important concepts of the Human Resource Management Theory. The following theory highlights the importance of the business organization in order to maintain the human resources to gain a strategic competitive advantage in the global market. Training and Employee retention theory are used extensively to satisfy the customers in the market. The main framework used in the theory is the Human Capital Theoretical Framework. Training and development have often been hailed as the core organizational strategy that helps in the retention of the employees and also leads to a growth of the capital. The human capital generally comprises of the skills, ability and experience possessed by the organization in order to manage the demands of the customers by retaining the skilled and the loyal employees. The issues faced by Telegate can be mitigated by the implementation of the Human Capital Theoretical Frtamework in an efficient and phased manner. The research will follow the deductive research process to identify whether an efficient training program can actually help in the retaining of the employees in an organization or not. While the researcher will also find it easy to use the proven research theories and models like training and retention theories, Human Capital theory and some more of them to complete the research. 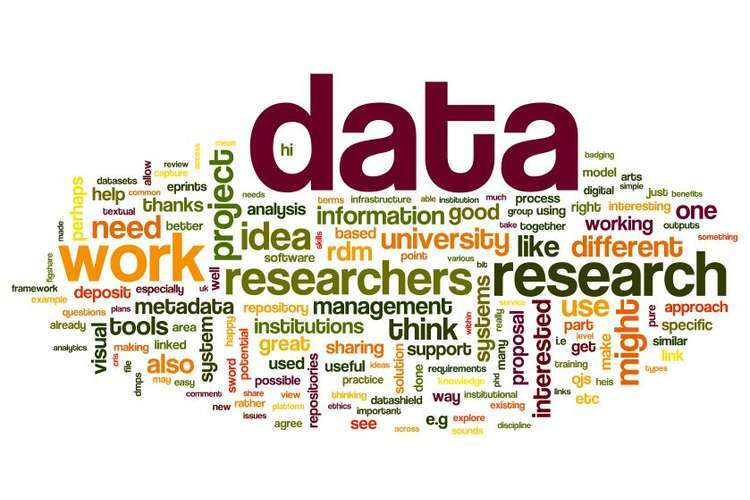 The use of both the primary and secondary research data will make the research a more effective one. The primary researches are based totally on the collection of responses from the employees of Telegate while the secondary resources were collected from the data received from the magazines and journals of the organization behaviour. 1. Does the training process of the employees helps in their development? 2. Do you think that the training and development programs are of utmost importance to the organization? 3. Is pre-training more suitable than on job training or both are needed? 4. Thus in-depth analysis selection of trainers more suitable than selecting an internal trainer? 5. Can Employees be retained on the application of proper training and development programs? 6. Is strategic Human Resource management important for the proper performance of the employees in the organization? 7. Is proper financing required for the maintenance of a healthy system of training and development in the organization? The researcher selected a total of 50 employees from the organization. The organization contains 5 different departments and thus 10 employees from each of the 5 departments were chosen for collecting primary responses based on the online questionnaire provided to them. There are a number of different limitations to the research which restricts the researcher to construct and formulate a strong and compact research. The identification of the issues itself is a huge limitation to the research. There are times when the complexity of the research often leads to the identification of the wrong and small issues. Apart from this the absence of proper and smooth funding and the allocation of budget to the research is one of the most crucial limitation of the research. The short time frame to complete the research is also one of the crucial limitations of the research. The research has been based on a quite happening and important topic. The topic has been selected according to the importance of the globalization in the local as well as international markets. The research has been constructed in a scientific manner providing graphs and charts which have helped analyze the actual data regarding the retention of employees and its impact on the company. The information provided in the research will be of huge help to the future researches on the same topic in the future. The management of the company must follow a few steps to retain all the employees and ensure the success of the company in the market. The management must deduce some competitive HRM strategies that must be better than the HRM strategies of other companies and will help them to retain the employees. The senior supervisors and the managers must motivate the employees all the time as because such a motivation will help in the development of the employee and make them confident and loyal in their work and towards the company respectively. 2. Anitha, J., 2014. Determinants of employee engagement and their impact on employee performance. International journal of productivity and performance management, 63(3), p.308. 3. Armstrong, M. and Taylor, S., 2014. Armstrong's handbook of human resource management practice. Kogan Page Publishers. 4. Babakus, E., Yavas, U. and Karatepe, O.M., 2017. Work engagement and turnover intentions: Correlates and customer orientation as a moderator. International journal of contemporary hospitality management, 29(6), pp.1580-1598. 5. Bell, B.S., Tannenbaum, S.I., Ford, J.K., Noe, R.A. and Kraiger, K., 2017. 100 years of training and development research: What we know and where we should go. Journal of Applied Psychology, 102(3), p.305. 6. Cummings, T.G. and Worley, C.G., 2014. Organization development and change. Cengage learning. 7. Dhar, R.L., 2015. Service quality and the training of employees: The mediating role of organizational commitment. Tourism Management, 46, pp.419-430. 8. Dineen, B.R. and Allen, D.G., 2016. Third party employment branding: Human capital inflows and outflows following “Best Places to Work” certifications. Academy of Management Journal, 59(1), pp.90-112. 9. Ford, J.K. ed., 2014. Improving training effectiveness in work organizations. Psychology Press. 10. Høyer, A.S., Vignoli, G., Hansen, T.M., Keefer, D.A. and Jørgensen, F., 2017. Multiple-point statistical simulation for hydrogeological models: 3-D training image development and conditioning strategies. Hydrology and Earth System Sciences, 21(12), p.6069. 11. Kim, J.H., 2014. Employee poaching: Why it can be predatory. Managerial and DecisionBusiness Economics, 35(5), pp.309-317. 12. Larsen, H.H., 2017. Key issues in training and development. In Policy and practice in European human resource management (pp. 107-121). Routledge. 13. Leonidou, L.C., Fotiadis, T.A., Christodulides, P., Spyropoulou, S. and Katsikeas, C.S., 2015. Environmentally friendly export business strategy: Its determinants and effects on competitive advantage and performance. International Business Review, 24(5), pp.798-811. 14. Lovelock, C. and Patterson, P., 2015. Services marketing. Pearson Australia. 15. Nkosi, S.M., 2015. Effects of Training on Employee Commitment, Retention and Performance: A Case Study of a Local Municipality in SouthAfrica. European Journal of Business and Management, 7(15), pp.104-108. 16. Noe, R.A., Wilk, S.L., Mullen, E.J. and Wanek, J.E., 2014. Employee Development: Issues in Construct Definition and Investigation ofAntecedents. Improving Training Effectiveness in WorkOrganizations, ed. JK Ford, SWJ Kozlowski, K. Kraiger, E. Salas, and MS Teachout (Mahwah, NJ: Lawrence Erlbaum, 1997), pp.153-189. 17. Othman, S.Z. and Lembang, S.A., 2017. What Attract Gen Y to Stay in Organization? HR Practices, Organizational Support or Leadership Style. International Review of Management and Marketing, 7(2), pp.1-9. 18. Pollock, R.V., Jefferson, A. and Wick, C.W., 2015. The six disciplines of breakthrough learning: How to turn training and development into business results. John Wiley & Sons. 19. Tercera, S.R. and Ngirande, H., 2014. The impact of rewards on job satisfaction and employee retention. Mediterranean Journal of Social Sciences, 5(1), p.481.